For several years, missions are conducted by the Museum in foreign countries as in France, Italy, Croatia and Mongolia. Nowadays, research programs focus on Prince and Aldène caves (E. Rossoni-Notter, O. Notter, P. Simon, S. Simone) as well as Mongolia (J. Magail). Called Barma del Ponte or Roman Bridge cave, Prince cave was renamed in 1903. Under the patronage of Prince Albert 1st of Monaco, Canon de Villeneuve officially initiated excavations in the Mousterian sediments (21.60 m) in April 22, 1895. 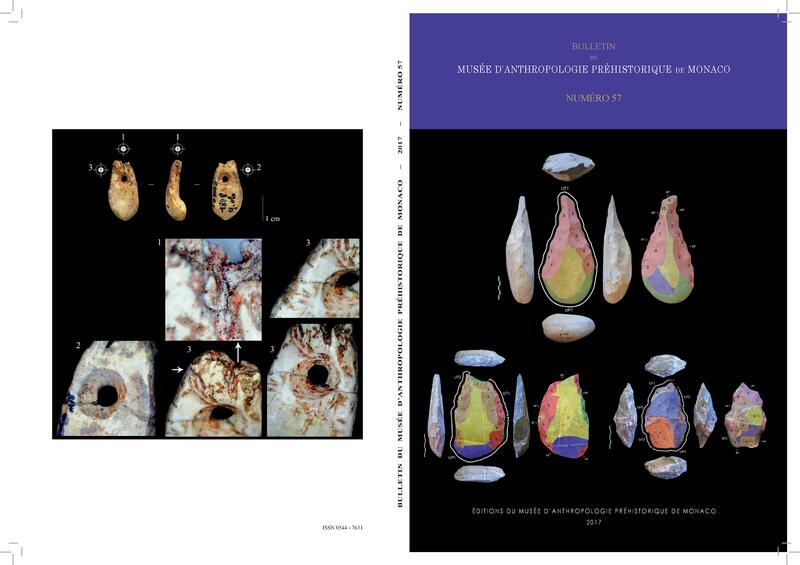 He described six large layers: A, B, green, C, D and E.
From the 1960s until 1996, Louis Barral and Suzanne Simone of the Museum of Prehistoric Anthropology of Monaco (Barral and Simone, 1976; Simone, 1979 and 1997) conducted three excavations. Marine formations and sedimentology are better-understood (Simone, 1970 and 1997). The discovery of oldest industries and, in 1968, of a human right iliac bone (Louis Barral and Suzanne Simone; study of M.A De Lumley, 1972) dated to 220 000 ± 120/50 ka (Yokoyama, 1989) confirm the importance of this program of excavations. A monograph devoted to the Grimaldi caves was published in 1906. 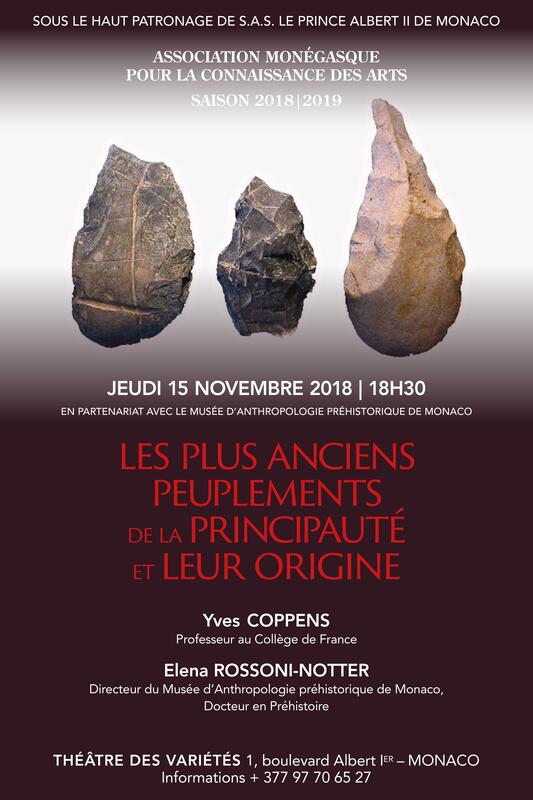 Leonce de Villeneuve provided information on the history of the excavations, Marcellin Boule on the geological and paleontological study, René Verneau on anthropological study. In the Volume II, Issue II, Cartailhac described lithic assemblages: Bouyssonie (Cartailhac, 1912) made the illustrations. Henry de Lumley mentioned the collection in 1969 by and Masayoshi Yamada (D and E) in 1993. Elena Rossoni-Notter has recently carried out new results on industries and raw materials (2011), as Kader Moussous (2014) on fauna remains. Nowadays, a research program is still in progress (E. Rossoni-Notter, O. Notter, P. Simon, S. Simone).